Over the Thanksgiving break I watched a lot of Youtube videos with my mom (my sister reluctantly and not so happily watched some too). She is over the moon for them and also fell in love with Lawn Fawn, October Afternoon and Betsy Veldman (I think they are all pretty swell too). She also really liked Laura Craigie's Finally Friday videos for Two Peas in a Bucket. One such card was the inspiration for the card I made. 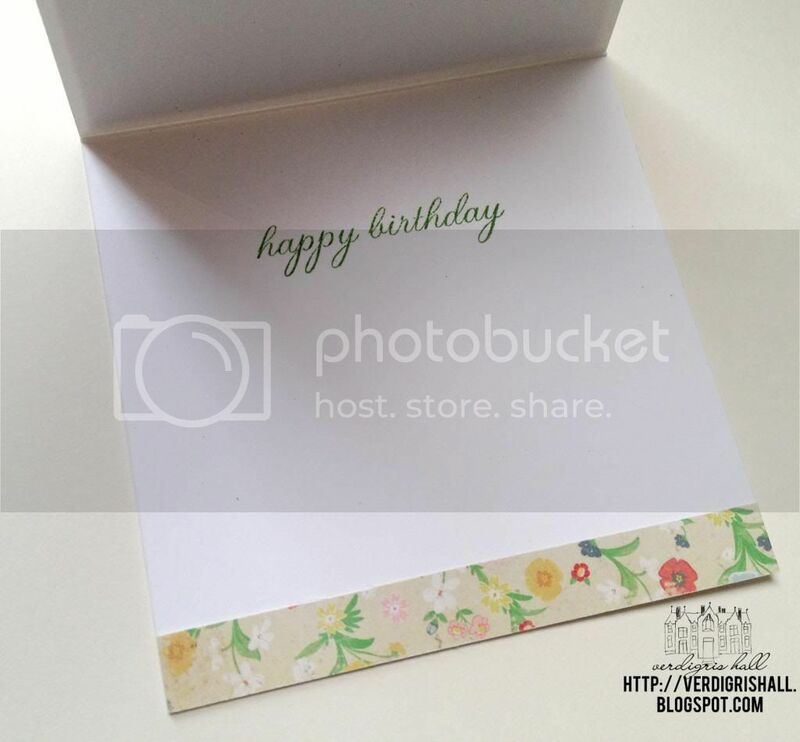 To see Laura Craigie's card go HERE. My aunt's favorite color is kelly green, but she also loves red so that was the genesis of this card. I remembered the mosaic square tile technique Laura Craigie used and decided to give it a whirl for this card. Having punched or cut out squares a lot in the past, her technique did indeed save a lot of time and effort. I picked out patterned paper from Crate Paper's Story Teller collection (love this collection! 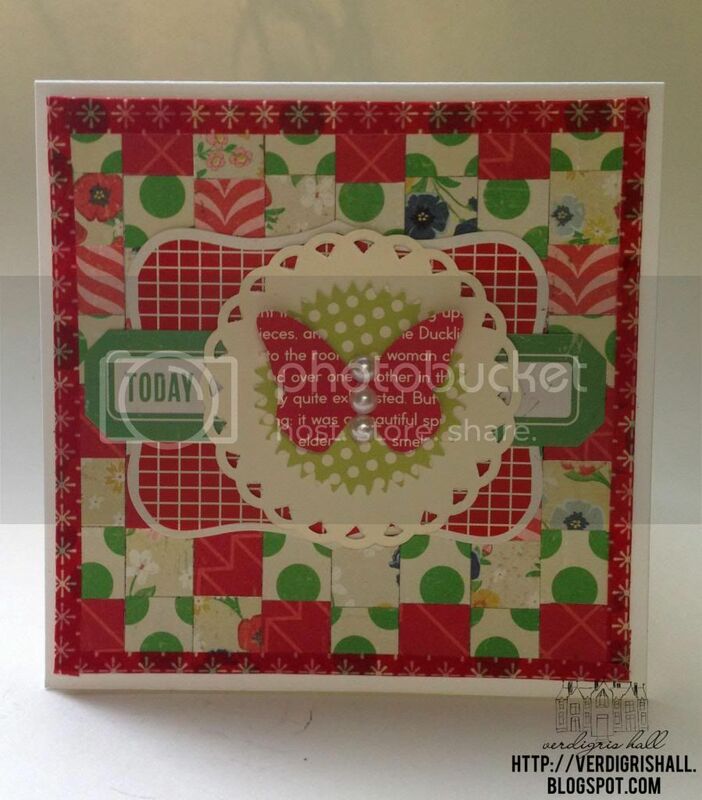 )...perfect colors and patterns for this card. I will tell you a secret. I wrapped a border of red washi around my panel of squares because of some issues with how the edges looked (they were a bit unsightly). Like Julia Child said, no one needs to know what happened in the kitchen...or studio in this instance. Another issue arose when I tried to stamp upon the today sticker label from the phrase stickers from the Story Teller collection...the surface did not like my inks and it became an issue so I had to find some layers to add on top to cover up the stamping fiasco. The red grid sticker came from my much used State Fair Die Cut Stickers from the State Fair collection by Studio Calico. The other die cuts all come from the Sidewalks Flower Sack by October Afternoon. I sure hope they bring Flower Sacks back because they are awesome! Last touch was the trio of pearls to create the butterfly's body. The whole panel was then adhered to a white cardbase. I love this card Shay! The mosaic look is very striking and bold. Very nice addition of the butterfly. 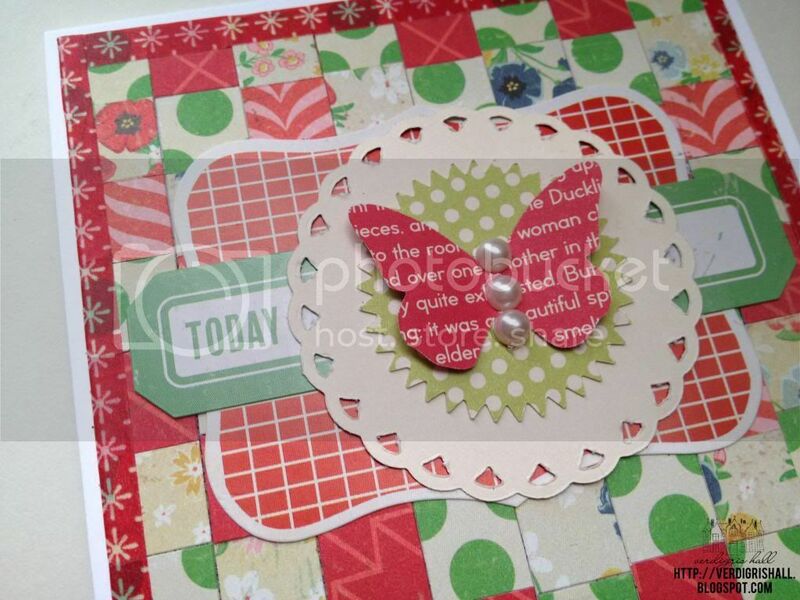 Ohhh...love the background you created with all the different patterned papers! Thanks for sharing!